Celebrate summer time in France; visit castles, gardens and beaches on this wonderful Singles Vacation ... Paris has enough monuments and museums to last a lifetime; the Loire Valley is world famous for its chateaus, Lyon for the cuisine, Marseilles for their port and the French Riviera's Nice is très chic. 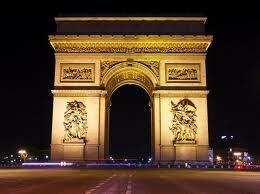 Upon arrival at the Paris airport (CDG) you will be shuttled to our hotel. Remember you are flying home from Nice (NCE). Check-in and receive your Paris hop on hop off bus pass. Paris is steeped in history and packed full of world famous landmarks, A hop on hop off bus is by far the best way to see the capital. Enjoy great views from the open top deck of your bus and see the sites of Paris that you choose. 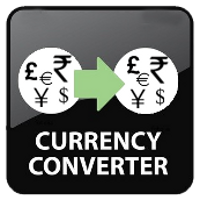 The bus offers 4 different routes and it is valid for 2 consecutive days. The Paris Grand Tour will take you to all the main sights, while the other 3 routes concentrate on particular areas (Montparnasse/St Germain tour, Montmartre/Grands Boulevards tour and Bastille/Bercy tour). 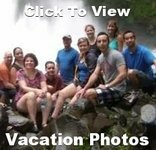 Meet and greet in the hotel lobby and walk to an optional dinner at 7:00pm. This morning we will continue using our hop on pass and visit Sacre de Coer, the Basilica of the Sacred Heart of Paris. Due to its location on the Montmartre hill, the basilica towers over the city; its highest point is even higher than the top of the Eiffel Tower. Thanks to this prominent location the Sacré de Coeur Basilica is one of the most noticeable landmarks in Paris. Next we will take the bus to the Champes de Elyses, where there will be free time for lunch and shopping. Tonight our Welcome Dinner will be in a local restaurant. Today we have a guided tour of three of the most impressive castles in the Loire Valley. The royal Chateau de Chambord, the largest castle in the Loire Valley was constructed as a hunting lodge by King François I in part to be near to his mistress and was never completed. Chateau de Blois has been the residence of several French kings and also where Joan of Arc received a blessing from the Archbishop of Reims in 1429 before departing with her army to drive the English from Orléans. Chenonceau is not only remarkable for its architecture and history but also for the fine quality of its collections: Renaissance furniture, a vast ensemble of XVI and XVII century tapestries and a great number of masterpieces. Beyond the Castle Chenonceau discover the two renowned and magnificent gardens that Diane de Poitiers and Catherine de Medici have given their names to. We return to Paris in time to enjoy an optional dinner together. This morning we transfer to the train station and in about three hours we will be on the coast of the Mediterranean Sea. Watch the French countryside goes by as we speed towards the Marseilles. Over the last 2600 years, Marseille has built a rich, colorful atmosphere enhanced by the fresh sea air, ancient architectural foundations, incredible art and amazing food. Our panoramic tour of Marseilles begins upon arrival. 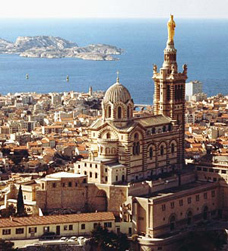 The highlight of the tour is the Notre Dame de la Garde, a 19th century basilica. It offers an exceptional view of the city, the islands of the Frioul and the castle. The port is filled with fishing boats and yachts, and surrounded by small streets teeming with seafood restaurants and shops. The wide streets offer leisurely strolling and many terrace cafes. After checking into our hotel we can make a "loop" of the Old Port, walking around three sides and then taking the little ferryboat across from one side to the other. Maybe grab a bite to eat in one of many seafood restaurantants. After breakfast our full day tour begins as we drive to the heart of the Provence countryside to tour five unspoiled villages perched on the ridges of the Luberon hills. Set among the vineyards, olive groves, and cedar trees wander pass ancient ruins carved into the rocks. 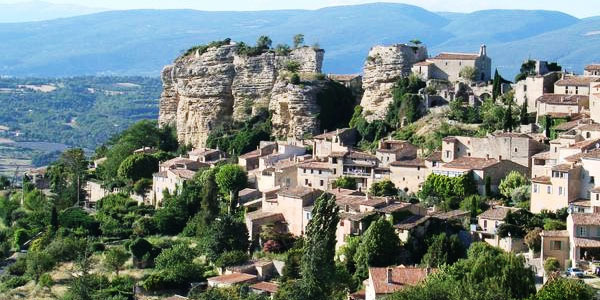 Visit Oppède le Vieux, hewn into the rock and surrounded by forests and cliffs. Continue to the stone ridge-top village of Ménerbes, before breaking for lunch at one of the cafés in the sleepy square of Bonnieux.Take in the ochre-red color of Roussillon's buildings and surrounding cliffs, then head to Gordes, celebrated as one of the most beautiful villages in France. Here, traditional stone houses line the narrow streets that spiral up the hill the village is set upon. Return to Marseille to sleep and enjoy a night stroll and have an optional dinner. We board our train to Nice and upon arrival we transfer to our hotel and check-in. Discover this picture-postcard city on the French Riviera on our afternoon walking tour of Nice. Nice has a thousand surprises in store ... its monuments, churches, gardens, the footpaths which link the surrounding hillside to the city center, but also its museums, its artists, its local crafts, its renowned gastronomy with its unmistakable flavors of garlic, olive oil and basil, as well as its folklore. Our French guide will show us the maze of staircases and lanes, fine Baroque churches, bustling flower market and the famed Promenade des Anglais. 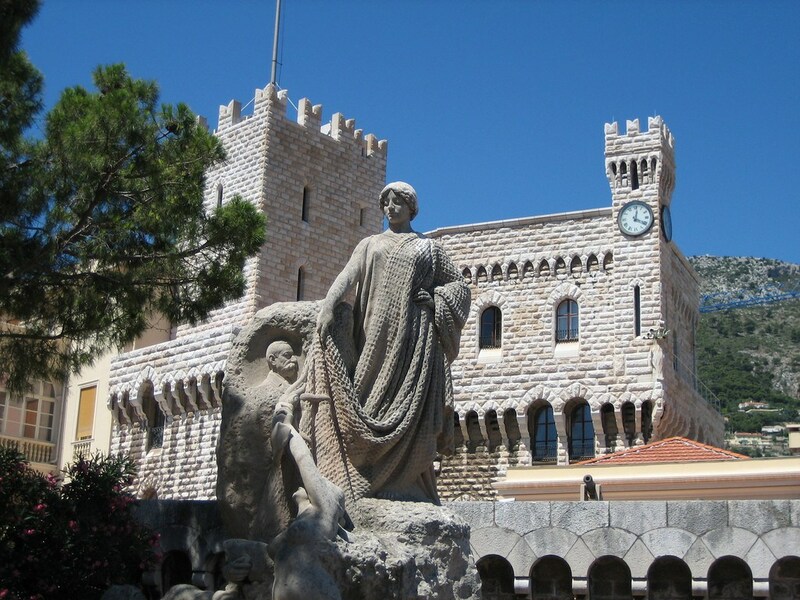 Visit the Old Town, site of the trading center founded by the Greeks 2,700 years ago. 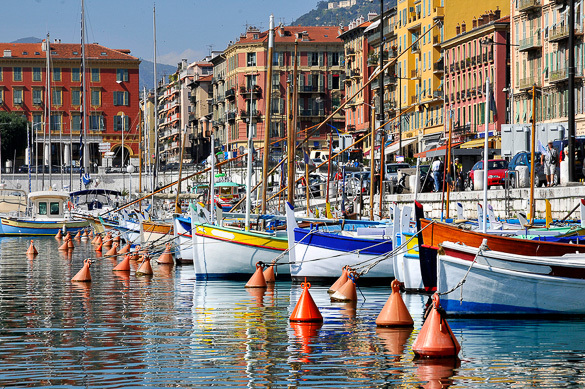 After our group tour, you can continue to explore the streets, beaches and markets of Nice. Walk along the famous Promenade des Anglais and enjoy the views of the Mediterranean. Today we cruise the coastal curve of the French Riviera to St Tropez on a full-day excursion from Nice. Climb aboard our ferry for a 2.5-hour scenic journey and marvel at the stunning coastal scenery as we sail along the Mediterranean coast arriving on the sun-drenched shores of St Tropez. 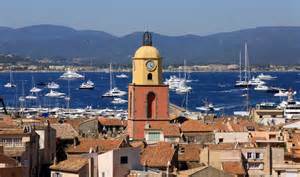 Delve into the rich history of St Tropez as we stroll with our French tour leader, around the Côte d’Azur town that rose to popularity after a post-war influx of artists and authors. Walk through the picturesque Old Port with its million-dollar yachts; visit the provincial markets like the Place aux Herbes; and shop sophisticated boutiques for glamorous clothes that follow the latest fashions. Follow a tangle of quaint cobbled streets to St Tropez Church to admire the sacred structure and then head over to the 17th-century Citadelle de St Tropez to enjoy sweeping vistas of the scenic surroundings. Free time to enjoy great works of art, shop or enjoy a delicious meal straight from the sea at a beachfront cafe. At a pre-arranged time, return to the ferry and relax during our 2.5-hour journey back to Nice. A day at leisure for exploring, shopping or to enjoy the beach. We leave France and travel across the border into Monaco. Drive along the spectacular blue waters of the coastline lined with typical Mediterranean villages and modern marinas. In Monaco visit the Old Town, see the Changing of the Palace Guards and drive along the Formula One Grand Prix circuit. There is time to visit the Prince’s Palace, Cathedral, and Cousteau’s Oceanographic Museum. Enjoy time to stroll amongst the stunning gardens, mega-yachts, and chic casinos and watch the “rich and beautiful” enjoying the good life at. Tonight we gather for our last evening in France and enjoy our farewell dinner at a local restaurant. Say "Au Revoir" to Nice as your France singles vacation ends and you are transferred to the Nice airport for your return flight home.